30ft of slippin' and slidin' is great fun for all ages. 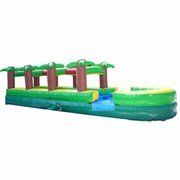 Great addition to your summer party or event. Rent the Slip-n-splash today!